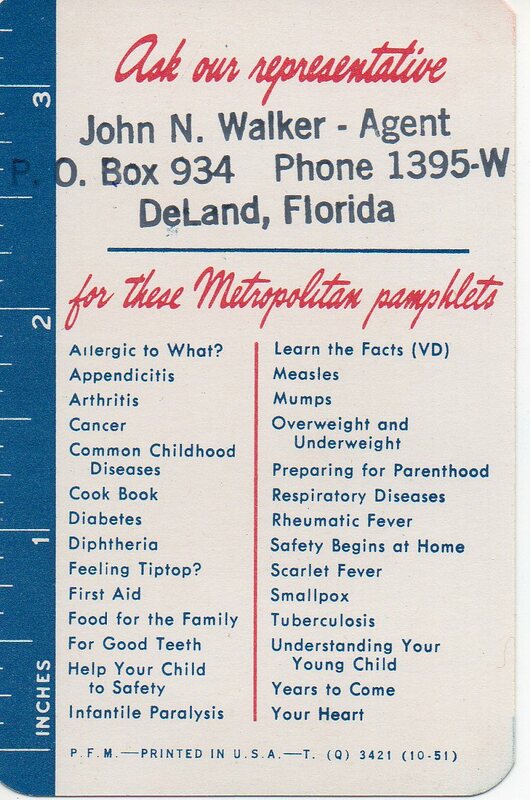 This is a great piece of paper paraphernalia from 1952 that I picked up in Daytona Beach. 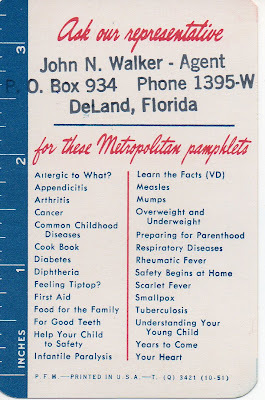 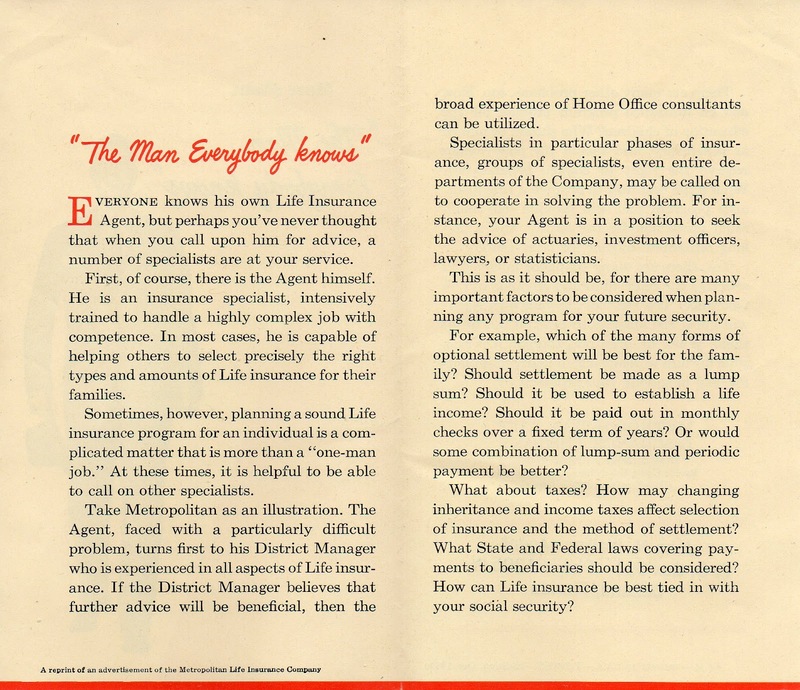 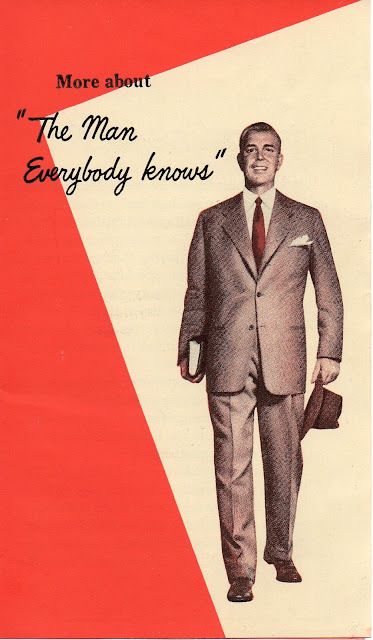 It’s an information pamphlet that belonged to a Life Insurance representative, Mr. John N. Walker of Deland, Florida. 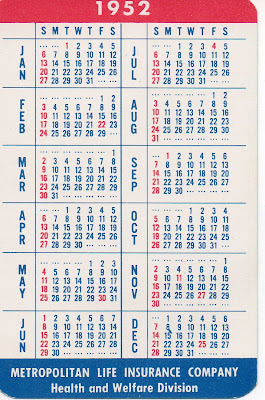 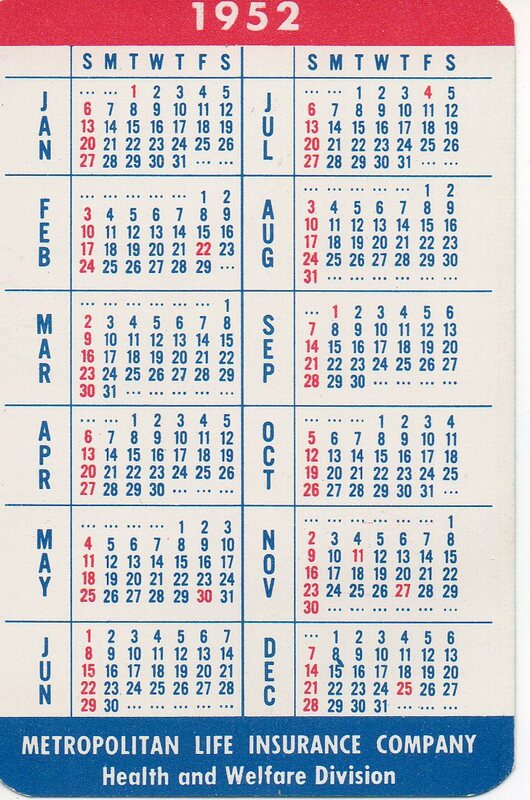 There is also a little calender/ruler insert the size of a playing card. 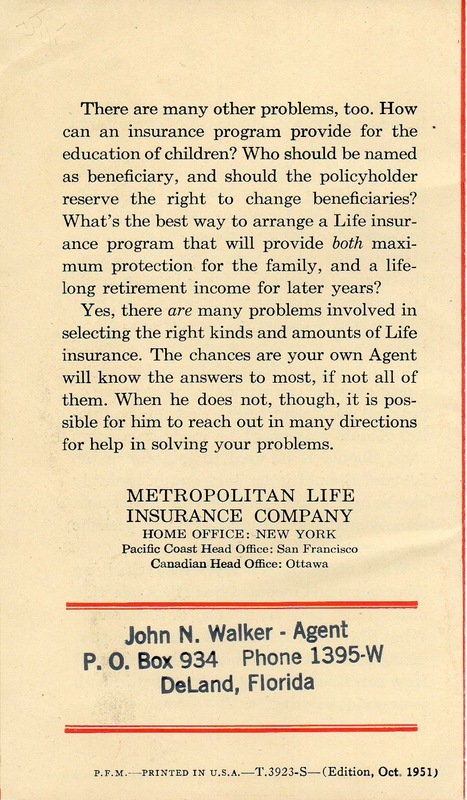 Heck I’d buy life insurance from someone who handed me a pamphlet that looked like this! I think the design of it is really great!